Bill: We've been hearing about this technological unemployment crap for a long time. Every time someone has said, "It's different this time, " they've been wrong. Ted: It's different this time. No, really. It is actually different this time. This is a different kind of automation that isn't just muscle labor, but brain labor. We aren't replacing shovels with tractors. We're replacing tractors with mechanical farmers. Technology's effect on employment also isn't something that's just going to happen soon. It's happening already. 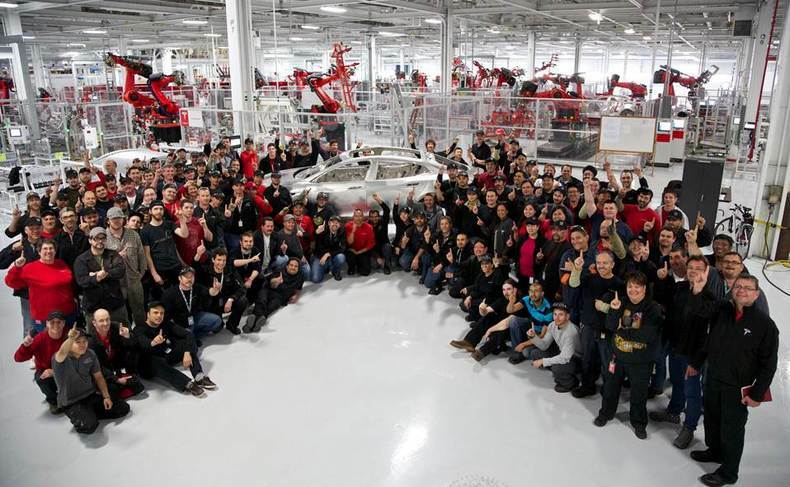 Look at the difference between old footage of Ford's giant auto factory, and present footage of Tesla. 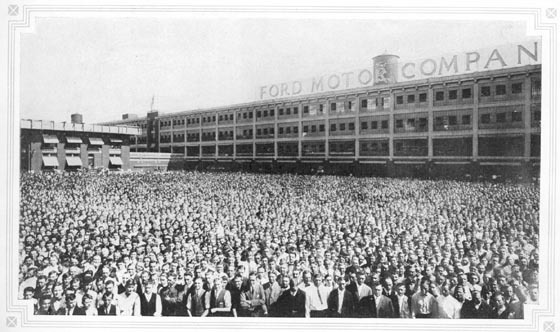 So the thinking goes, those Ford auto-workers are working elsewhere, which they are. However, they are being paid less now in service industry work and part-time work they can find, and on the other hand, robots are working 24-7 and not paying taxes. Nor are they buying anything whatsoever. Robots aren't consumers. Back in the day, we had 100 farmers farming. Then 90 of them moved into industry and 10 stayed behind, 10 being able to do the work of 90 on the farms thanks to let's say 10 robots (in the form of tractors and such), aka technology. So now we still have 100 workers but more is getting done thanks to 10 robots. So far so good. The point we are at now in 2015 is that we're up to about say 100 robot workers and 100 human workers, but the robots are doing so much work that only about 80 of us are able to find work, and 20 of us are now sitting idle. Meanwhile we still have a system that says those 20 people need to work in order to live, even though they can't find work. In addition, we've also now got the problem of 1 of those 80 workers being really the only one owning all the robots, such that one person is functionally equivalent to 101 people, not only in combined economic power, but political power as well. Basically, one person is standing on the shoulders of a small army of 100 robots built not by one human, but all humans past and present. So as it stands right now, matters are already problematic. But now let's look into the future. As technology increases, we will soon have 1,000 robots working, 40 humans working, and 60 humans idle, unable to find work. In this system, there are the equivalent of 10 robots for every 1 person. An amazing amount of work is getting done, more than ever before and not even by human hands, and yet what if we still require that everyone work to live? This idea is at odds with paid work having become more rare, such that more people are unable to find work than those able to find work. At this point paid work is practically a luxury available only to a minority. Meanwhile, that one person who owned 100 robots is now one person who owns 1,000 robots. The idea of 1 person being the equivalent of 1,001 people is even more problematic, especially when it comes to a functioning democracy. In 2015, our democracy already only works for the 1 person as it is. Some may think education is the answer, and to a point it is, but it takes years for someone to learn something new, whereas technology can learn something new in seconds. There is no way to outpace technology with education. New jobs will always be created, but not as fast as they are destroyed. 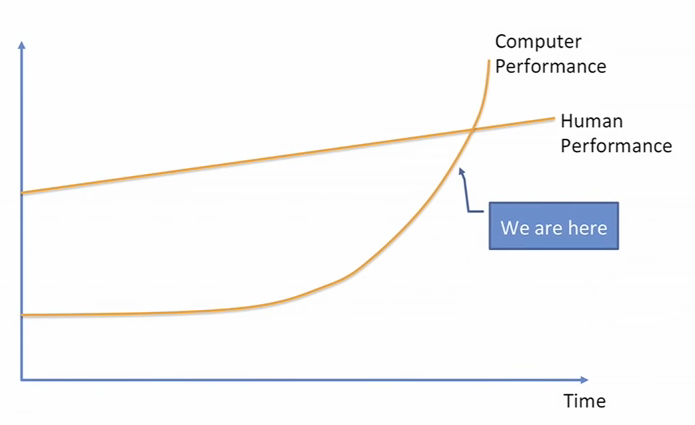 It takes time, and tech is an exponential function. Human labor can't compete on that level. A big part of the problem is also the income. Who are these 1,000 robots manufacturing all of this stuff for, in a world where only 40% of the population has jobs? 60% of the population has no means of purchasing anything, and the 40% that can, still has to spend a good portion of their income on basic needs, because they are basic for life, so only a portion of their income is able to go to the goods and services of the 1,000 robots. What's that economy look like? Does it not make more sense to supply everyone a sufficient income to meet their basic needs? This way 40% of the population could use 100% of their earnings as discretionary income, and the other 60% could spend their money on basic needs. Meanwhile because 60% of the population now has some money, they can use that money to make exchanges with other people. They can start up their own businesses, or volunteer their time. Doesn't this setup make more sense? Also, doesn't this setup even make more sense for where we are right now? If we're already at 80 people working and 20 people not working, with the equivalent of one robot working per person, why don't we just think of that one robot as being owned by each one person, such that we all benefit from the robots? Why not just use all that work getting done by non-human hands to cover the basic needs of every human? That would create a situation where 80 people with their needs already met get to use their income as discretionary income, and 20 people get their basics covered, and the ability to engage in the economy and their community. It would also create the situation where that one person who owns the 100 unpaid and untaxed robots has to use some of that income they're getting from robot labor, to spend on humans. This would reduce their total wealth and political influence, while increasing the wealth and political influence of everyone else. This is not to say that everyone would be equal, but there would not be the extreme inequality there already is, and should be seen as a good thing, because of all the effects too much inequality has on society. Basically, a basic income is an improvement that acknowledges the fact we've already created enough technology to cover everyone's basic needs, and yet we still currently insist that one person with all the robots should be the one reaping all the rewards of so much non-human labor, while forcing everyone else to work even harder and looking down on those unable to find the work that no longer needs to be done. It's already time our machines start working for 100% of us instead of just 1%. It's already time for universal basic income.